Check out our current Specials here! At Lost Campers, we offer travelers a unique and affordable way to see the country. Our cheap Campervan rentals are the only way to travel the USA and Canada. No crazy advertising or crazy paint jobs. Pick up your camper rental in California or Utah and get exploring! Our budget campervans provide you with everything you possibly need for your road trip and camping adventure. At Lost Campers, we believe hiring a campervan for your next vacation is the easiest and most convenient way to explore the USA. We are proud our over 10,000 “Happy Campers” customers have given Lost Campers more 5-Star reviews in Yelp, Google & Facebook than any other camper van rental company in the Western US. 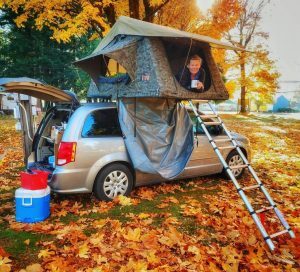 If you are looking for “stealth” and cheap campervan rentals to explore the Western US and beyond, without gaudy paint jobs on the side of the van that scream “tourist”, Lost Campers is your best choice. Get a no-obligation quote here or call us direct Toll Free: +1 (888) LOST-VAN ( 567-8826) or International: +1 (415) 386-2693 for availability and great customer service on the West’s best cheap campervan rentals. "Your campervans are the easiest and best way to travel"
"The most fun I have had in years"
"The van was perfect, complete with everything I needed - you thought of it all!" These are cheap campervan rental with great customer service for the most fun and affordable way to travel the United States. Campervans leave a smaller environmental footprint than the rental of larger RVs. Lost Campers is your answer to a brilliant road trip. Travel our way! Travel Lost!